The talented designer known for his avant-garde minimalism, was disgraced by his anti-semitic remarks in 2011, but he has now returned to the runway to reveal his first collection as the new creative director for Maison Martin Margiela. 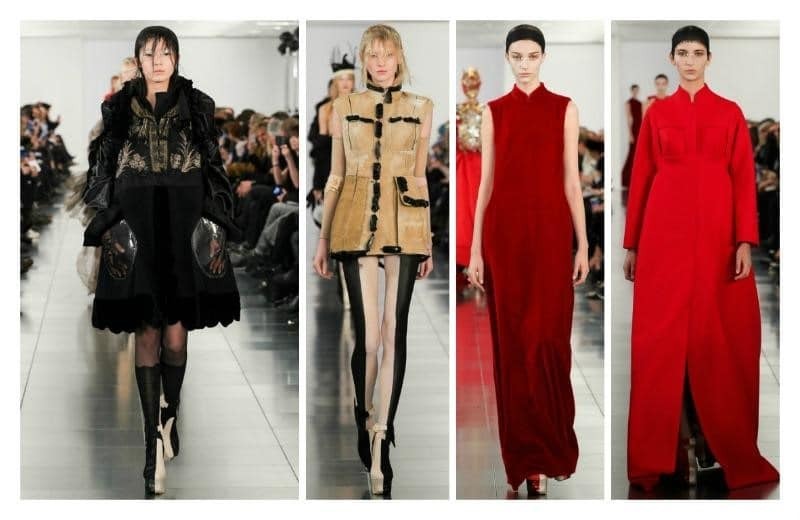 In London on Monday, Galliano unleashed a collection that is truly spectacular and the surreal creations are already gaining traction. Seated in the front row were some of the most prestigious people in the fashion world (and Galliano’s dear friends) including Kate Moss, Jefferson Hack, Anna Wintour, Manolo Blahnik and Burberry’s chief executive Christopher Bailey who were there to witness his comeback. To the tune of “Hey Big Spender,” models strutted down the runway in futuristic eye makeup wearing everything from rubber leggings, all red coats, draped dresses, fantastic feathered head pieces, swing coats, black tassel skirts and even elaborate mirror and beaded masks.